In the post-lunch session of Day 13 of the Aadhaar hearing, Senior Counsel Gopal Subramanium, appearing on behalf of the petitioners, criticised sections 28 and 29 of the Aadhaar Act, dealing with data security and confidentiality and restrictions on information sharing respectively, and the relevant Regulations. Regarding the said provisions as unsatisfactory safeguards, he advanced, “They only offer an assurance. Besides, the instant the authentication fails, it is assumed that there is duplication and that the biometrics were validly captured at the time of Enrolment”. In relation to Regulation 28 of the Aadhaar (Enrolment and Update) Regulations of 2016, stipulating the cases when the Aadhaar number may be deactivated and particularly the clause permitting deactivation ‘as deemed appropriate by the authority (UIDAI)’, he submitted, “There is no procedural or substantive reasonableness in the exercise of this discretion by the UIDAI”. In respect of section 33 of the Aadhaar Act of 2016, providing for disclosure of the biometric and demographic information by the UIDAI pursuant to a court order or in the interest of national security, he advanced, “the concerned citizen is not even afforded an opportunity of being heard before his sensitive personal information is revealed”. Referring to the use of words/phrases ‘require’, ‘undergo’ and ‘furnish proof’ in section 7 of the Act, he submitted that the section empowers the Central or state government to condition the access to any ‘Subsidies, Benefits or Services’ on the procurement of Aadhaar number. Further, the section does not even mandate the entitlement of the real individual to the ‘Subsidies, Benefits or Services’. “Do even mobile phones and bank accounts fall within the ambit of this section?”, inquired Mr Subramanium rhetorically. In the context of section 4(3), in so far as it allows Aadhaar, in physical or electronic form, to be required for establishing identity ‘for any purpose’, he submitted, “Such all-pervasive coverage is unconstitutional”. Summing up, he reiterated, “Biometrics is a probabilistic proof of ID. The algorithms relied upon by the UIDAI are unpredictable and not created by the Authority. An authentication failure would disable a citizen’s access to essential amenities. By accumulation of both big data and metadata, the risk of profiling mounts. Big data, when read together with other databases, can even divulge the geographical location of an invitation”. “In the absence of a comprehensive data protection regime, data retention in respect of the entire population is a risky proposition and it must be undertaken in accordance with substantive and procedural reasonableness”, he continued. Relying on numerous affidavits averring how Aadhaar has acted as an instrument of exclusion from social security schemes and other essential services, he remarked, “the rate of exclusion on account of Aadhaar is as high as 49% in the state of Jharkhand”. Emphasising on the ‘exclusion’ characteristic of the project and the rampant corruption, the Senior Counsel added, “on February 6, 2018, the UIDAI has written to the Common Service Centres (CSC) Digital Kendra, which is a Special Purpose Vehicle for the dispensation of pensions within the aegis of the Central government, that the MoU with the CSC shall not be extended on account of the quantum of grievances”. Indicating the L1 contracts executed within the Aadhaar architecture, he cited data security threats, “the control over the algorithms vests in overseas corporations that may access the sensitive biometric and demographic data and put it to any use”. The Senior Counsel on Thursday drew the attention of the bench to the earlier interim orders passed by the apex court in connection with the Aadhar controversy. On September 23, 2013, it was ruled that no person shall be made to suffer for not possessing a Unique Identification Number even if the same has been mandated by any government authority and that the Aadhar card shall be issued only after due inspection so as to not issue the same to illegal immigrants. On March 24, 2014, in SLP (Crl.) 2524/2014, it had been reiterated that ‘no one shall be deprived of any services or social schemes for the want of Aadhar and all government authorities had been directed to accordingly modify any circulars or notifications issued by them’. The order dated September 23, 2013, had been reaffirmed on March 16, 2015. 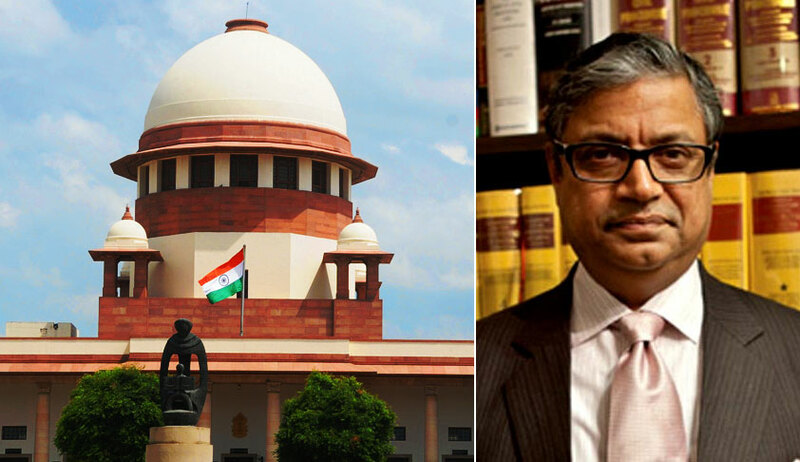 Thereafter, on August 11, 2015, a 3 judge bench had held that the Union of India shall publicise via both print and electronic media that Aadhar is not mandatory for any social security schemes other than Public Distribution System scheme and the LPG Distribution scheme. Finally, on October 15, 2015, a 5 judge bench of the top court had added the MGNREGA scheme, the National Security Assistance Programme, the PM Jan Dhan Yogana and Employees’ Provident Fund Scheme to the earlier list of two schemes. Further, it was held that the order dated September 23, 2013 shall continue to be in force and Aadhar shall be purely voluntary till such time the matter is finally decided by the Court one way or the other. He submitted that after the coming into force of the Act of 2016, it was pertinent that the government and other civil authorities seek a variation of the apex court orders to validate circulars and notifications mandating Aadhaar. He prayed that the bench must consider granting compensation to citizens who have suffered on the ground of exclusion, particularly instances of starvation deaths. Concluding his submission, he prayed that the bench also extend the March 31 deadline stipulated in the interim order dated December 15, 2017, for mandatory Aadhaar linkage with bank accounts, mobile phones and other services in view of the pendency of the challenge to the constitutional validity of the Aadhaar Act. When the hearing resumes on March 6, Senior Counsel Arvind Datar shall make his arguments on behalf of the petitioners.